Starting up your blog with your own domain name instead of using a free platform is a good thing to do. You will be able to build credibility and a sense of professionalism around it. In addition, you can create a brand and promote it on the World Wide Web without much difficulty. However, in order to succeed as a start-up blogger, there are some factors you need to consider when contemplating on the perfect name to use for your blog. The goals and objectives of your blog will go a long way in determining how to name it. The topic, style, tone, target audience and so on should be put into consideration. For example, the strategy for naming a blog targeting young people will be different from the one targeting professionals. Most of the times, the topic of a blog is reflected in in its name and this is aimed at boosting its search engine ranking as well as make it easy for visitors/readers to find. Furthermore, it is very important to be specific about registering a keyword-based domain or a brand-able one or both. Choosing a keyword-based domain is good for SEO (search engine optimization) and communicates your blog's theme to readers quickly. On the other hand, you can brand your domain in order to create a lasting impression with your readers and as a result, have loyal readers. If you are very creative, you can use both methods in your naming process and you will stand out among competitors in your niche. You also need to think of the future when naming your blog. Even though the future may not be ours to see most of the times, it is important to think ahead of time. It is advisable to avoid names and topics that may not be relevant in future so that your site is not rendered useless in time. You should also consider if you want to use a domain for one blog or multiple blogs and this will have an effect on your naming strategy. If you will be using a domain for multiple blogs, you should choose a name that is easily adaptable in other to accommodate all the blogs. Other factors to consider are the name length, domain extension, trademark and domain security. As much as possible, you should try to choose short words (not more than four) and if possible, avoid hyphens so that it will be easy for people to remember the name. As regards domain extension, the .com is the most popular (and of course the costliest at the secondary market), but that does not mean that the .net, .org, .info, and even the new extensions like .photography, .band, etc, are not good. You should avoid trademarked names in order not to get yourself into any legal mess. As a form domain security, you should register multiple, related domains for your blog in order to prevent cybersquatting which is capable of reducing traffic to your site. Yes, it is real! You can register 'yourblog.com' and host it for free on blogger. If you want to reduce your expenses in your bid to launch your blog on the World Wide Web, you can buy a domain name from a reputable registrar and blogger will host it for you free of charge. Blogger.com is a free content management system (CMS) owned by Google and it provides free content management for bloggers. In addition, you can get a free domain from blogger apart from the free hosting but what you will get is a sub-domain, e.g 'yourblog.blogspot.com', which I consider to be unfit for online branding. As a result of this, it is advisable for you to register your domain, like 'yourblog.com' and host it for free on blogger, if you can't afford hosting for now or you don't want to give yourself any headache about hosting. Blogger is the only truly, dependable, free CMS I know since you don't need any other platform to use it like others. It doesn't come with all sorts of restrictions like strict advertising policy, rigid layouts and so on. You have the opportunity of choosing from a wide varieties of themes in order to make your blog appealing. The functionality of your blog can also be enhanced with many available widgets and you don't need to worry of content deletion once you don't run foul of simple guidelines such as posting hate speech, violent, crude or harassing contents, copyright infringement and so on. Hosting your domain name for free on blogger is as simple as ABC. You only need to set up a blogger account (i.e, yourblog.blogspot.com) and then register a domain (i.e, yourblog.com). Subsequently, you will need to log in to your blogger account and change the URL to your registered domain. Read the full process here. There are many places to sell your domain name via auction these days but in order to get the best result, you should make use of top platforms. Here are top five websites to sell your domains for faster results and in coming up with these five, I considered page ranking, traffic, easy of use, customer service and my own personal experience. 1. GoDaddy: GoDaddy is on the top spot because it has a very high number of users and is the world's biggest domain name company. In addition, there are tools that will assist you in selling off your domain quickly and at a good price. The auction platform is so organized that only serious bidders will bid on your auction. The platform also has one-day, live, online-signature auctions for exclusive and high value domains. I decided to put GoDaddy in number one because of its other features like domain name registration, web hosting, amongst others. These unique features attract more visitors to the website which is an added plus for you in your bid to sell off your domain in good time. 2. Sedo: Sedo comes second in my ranking due to traffic and service delivery. It is one of the largest domain name auction sites in the world with other added services. You can park your domain for free and there is no minimum number of domain that can be parked with this great platform. Auctions on Sedo attract a lot of participants because it is a reputable platform with a good track record. 3. Bido: Bido is a great platform to sell your domain. It is free to use and the commission on sales is not outrageous. However, the traffic is not comparable to the two above which may have an effect on bidding, hence, you may not be able to sell at a high price. 4. DomainMonkey: DomainMonkey comes fourth in my ranking. You can auction your domain and park it while waiting for the right buyer to come. You can easily manage your entire domain portfolio and make some money from parking your domains. 5. DomainTools: With DomainTools, you can have the opportunity of being exposed to new opportunities in site improvement, brand protection and domain investment through the combination of the broad set of domain name ownership records available with vital web hosting data. It is very important for you to know the rules on this website so that you will be able to take its advantage to the fullest. Have you come across the new domain extensions like .guru, .design, .club, .photography, .band or .xyz? If your answer is no, then you need to upgrade your knowledge in relation to this subject. In 2004, the regulator of internet domain names ICANN (Internet Corporation for Assigned Names and Numbers), approved the introduction of about 400 new domain extensions and by 3rd of May, 2015, the number of approved new extensions had hit 605. ICANN thought that limiting gTLDs (generic top-level domains) to .com, .net, .biz, .org and few others was limiting the growth of the internet, hence, there was a need to open it up. The implication of the introduction of the new gTLDs would be similar to what happened in the television industry when the cable TV came on board. There were more choices for viewers and content specialization was encouraged. So, you would know where to go to for sports, movies, news, kids entertainment, music and so on. In some years to come, when you carry out a search on your choice search engine, by merely seeing the domain extensions, you would know the industry or specialization that a website represents. For example, if you search for a company or person that specializes in photography and the result shows sites with .com as well as .photography, you would probably favor the .photography website because you would believe it is more relevant to your search. Who benefits from new domain extensions? Everybody! The regulator, registries, registrars and the general public. In fact, the general public benefit the most because they now have more options to choose from than before. In addition, the cost of domains, especially .com, at the secondary market will probably go down because the demand for .com extension is likely to drop. Also, small and medium-sized companies can brand their businesses using these new gTLDs and they would stand out among competitors. It is interesting to note that some big companies were successful in getting new extensions for their brands, for example, .Google, .Barclays, .IBM, .Nissan, .Oracle, .Toshiba, .Xerox and so on. A lot of companies with many brands in their portfolios complained that this development would lead to more spending for them. They contended that since many of them would need to register their brands in the new gTLDs in order to prevent cybersquatting, their operational costs would definitely go up. However, there are always two sides to a coin and the general belief on the issue of new domain extensions is that their advantages far outweigh their disadvantages. So, check with your registrar for the new gTLDs (if you have one, I recommend Godaddy) and choose the one that is related to your industry and you will stand out among your competitors. 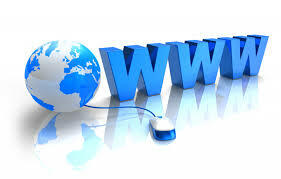 Getting the right domain name is very important for internet marketing. Your presence on the internet starts with choosing the perfect name for your website and you need to get it right because the foundation is very essential in every endeavor. Here are some of the essentials of a perfect domain name. Your website can get more online visibility if you register the right name. There is power in a name and the more relevant it is to your business, the better for you. In addition, you will be able to advertise and market your product or service more effectively. If you don't choose wisely (e.g. choosing a name that is too long), you may find it difficult advertising effectively which will have a negative effect on your business. Furthermore, if you want your visitors and potential ones to remember the address of your blog or website easily, it is very important to get it right in the aspect of naming. As a result of this, short names should be favored above long ones. If the keywords relating to your business are included when naming your domain, a large impact will be left on your customers as well as prospects and this can help in boosting your search engine ranking if you combine it with other SEO strategies. This will ensure that your website appears on the first pages of search engine results for your targeted keywords. Moreover, you can protect your online brand through the registration of domain names that are related to the one you are majorly using. This will prevent other people from registering them which may threaten the image of your brand. For example, if you register a name in the .com extension, you should also register it in the .net, .biz, .org and .info extensions so that no one else will be able to register them and compete with you over the name or benefit from your popularity. In today's more competitive environment, your domain name can give you an edge over competitors since it is the first thing that a potential visitor will see before actually paying a visit to your site. Also, if you get the name right and you have a company car, putting the name on the car is a powerful offline adverting strategy that can boost traffic generation to your website. The power in a name can never be overemphasized, consequently, you should endeavor to get it right when naming your website because the name will affect it in its lifetime, either positively or negatively. Your domain names require the best security you can ever think of because if this is compromised, your business will be exposed to a higher degree of risk. There are many security risks that may face your domains and some of them are discussed below and solutions proffered. If your domain name is compromised when it comes to security, it would land into the hands of a hijacker who may redirect your users to a page where negative marketing of your company is carried out. The hijacker may also redirect your visitors to a page that looks like yours where sensitive data of your customers will be harvested. He may also launch a denial-of-service attack (DoS) which makes your DNS (domain name system) service unavailable and the implication of this is that your website will go offline which will have an adverse effect on your business and search engine ranking. One of the ways to protect your domain is to lock it with your registrar. In order to confirm whether it is locked, you should check your Whois record and the status of your domain will be displayed - whether it is locked or not. Locking it will definitely prevent unnecessary and unauthorized transfer of the domain. You should also endeavor to use a strong password that cannot be cracked easily and if necessary, you should use a two-level authentication method to gain access to your DNS. Additionally, you should check your DNS records from time to time in order to be sure that it has not been tampered with and your critical services should also be properly monitored. You should also lower your time-to-live (TTL) settings to 5 minutes (300 secs) so as to be able to quickly redirect your traffic in case you come under any attack and you need a quick protection. You should also carefully protect your email's password (the email you used to register your domain) because if it is hacked, sensitive emails relating to your domain name may be accessed which in turn may lead to its hijack. If you have a domain account with more than one registrar, it is advisable for you not to use the same username as well as password for all the accounts so that if one is compromised, you will not have to worry about others and your record of usernames as well as passwords should be properly kept. You actually desire a free domain name registration but you don't know how to go about it - you are at the right place and at the right time. While it is possible for you to register a domain for free, you need to know the distinctions among free domains available on the internet so that you will be able to identify the right one for you. There are free sub-domains and you know the meaning of 'sub' - subordinate. For example, 'pasta.food.com' is a subordinate of 'food.com', hence, once you get this type of a domain, you are only getting a part of it. Even though sub-domains are free for a lifetime, there are restrictions to how they are used. For instance, you don't get access to the DNS, there are lots of adverts placed on your site indiscriminately, there may be restrictions in bandwidth usage, file storage, etc, the free service can be stopped at anytime and so on. Moreover, there are some domain extensions that are free for life and not sub-web spaces. Examples of such extensions are .tk, .ga, .cf, .ml, just to mention a few. Investigations showed that these extensions are country code top-level domains (ccTLDs) but the designated countries allow worldwide registration. However, the restriction in this type of deal is that your name will not appear on the Whois record as the registrant of the site but that of the company giving you the free domain or its subsidiary. Even though you will have access to the DNS, there are certain things you cannot do, e.g., transferring the site to another person. You can also get free .com, .net, .biz, etc., on the internet with full access but the process is quite different. You will need to purchase a web hosting package from a company that offers free domain names and you have succeeded in playing smart. The Whois record will show your name, you will have full access to the DNS (but you can't transfer the domain in the first year), you can create many sub-domains and so on. The only thing you need to know in addition is that you will need to renew the name every year. That means it is only free for the first year, subsequent years' renewal must be paid for - I'm sure you get the logic.